Olive oil can help keep your heels smooth. Cracked heels, also called heel fissures, occur when thick layers of dry, dead skin on your feet begin to split and crack. Although the condition usually isn't painful, the act of picking away the dead skin on your heels can hit nerves in live tissue and cause pain. Deep cracks can also bleed or become infected. Eliminate cracked heels by adopting a strict moisturizing regimen. Fill a pan with warm water and half a cup of lemon juice, or the juice from one pressed lemon, and soak your feet in it for 20 minutes. 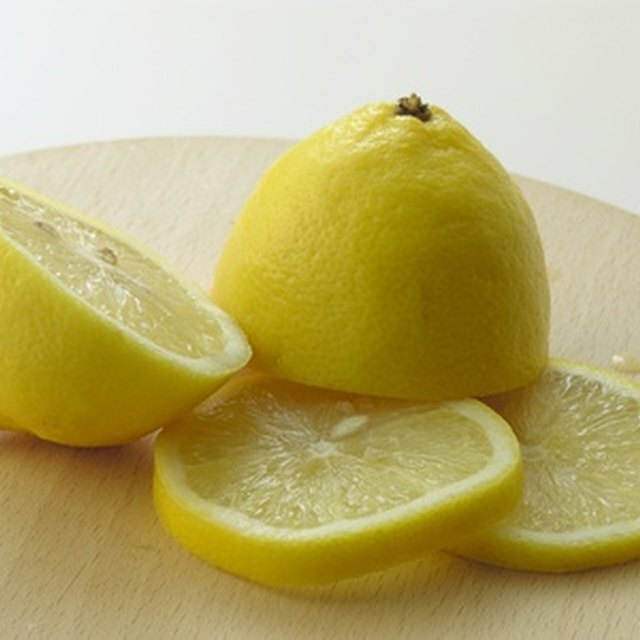 The acid from lemon juice helps loosen the dead skin from your feet. Create a homemade exfoliating cream with a handful of uncooked rice ground to a fine flour and 3 teaspoons of honey. Add enough apple cider vinegar to turn the honey and rice into a paste, then add a teaspoon of olive oil. The rice flour acts as an abrasive, while the vinegar helps remove dead skin. Olive oil acts as a deep moisturizer for the healthy skin underneath. Use a pumice stone to scrub the paste into the cracks of your heels. Fill a pan, bucket or tub with fresh, warm water and soak your feet for another 10 minutes to remove the exfoliating scrub and loosen dead skin. Scrub your heels with the pumice stone once more. Remove your feet from the water, and blot them dry with a clean towel. Massage olive oil into your heels. Tie plastic bags around your feet to seal in moisture. Dip your feet into fresh, warm water for another 20 minutes for a hot oil treatment. Remove the bags, and reapply olive oil to your heels. Prevent cracked heels by soaking, scrubbing, and performing the hot olive oil treatment on your feet once a week. Rub olive oil on your heels as soon as you emerge from a shower or bath in the morning, and apply the oil again each night before bed. Wear socks to bed to keep the oil on your feet and off your bedding.